Advertiser.ie - The Rumours are true - Roscommon Drama Group are back with a bang! 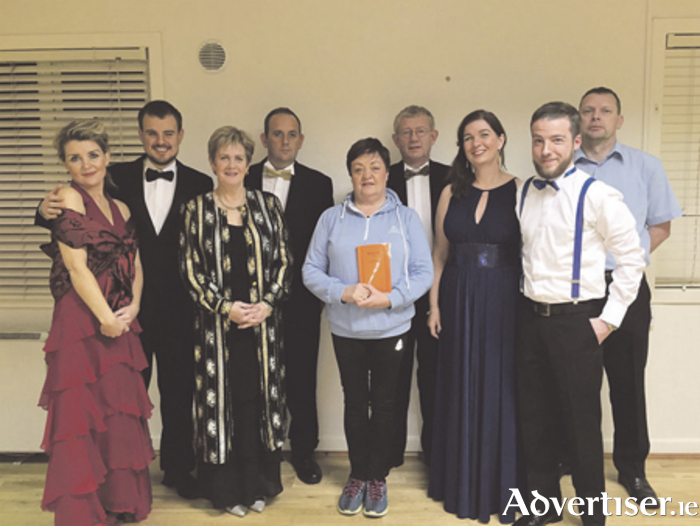 The Rumours are true - Roscommon Drama Group are back with a bang! Roscommon Drama Group are taking to the stage once more at Roscommon Arts Centre with their production of Neil Simon’s Rumors on Thursday, Friday, and Saturday, November 24-26 at 8pm nightly. Under the direction of Mary Cox, the cast includes Tom Holian (Ken ), Margaret Madden (Chris ), Kevin Woods (Lenny ), Marie Conroy (Claire ), Leo Walsh (Glenn ), Joanne Hone (Cassie ), Kieran Madden (Ernie ), Mairead Nally (Cookie ), Steve Gregory (Sgt Welch ), Bernie Maher (Sgt Pudney ), Mary O’Brien (Sgt Con ), and a large backroom team. Following on from their hugely successfully productions of A Nation Once Again early this year and last year’s hilarious production Canaries, Roscommon Drama Group never fail to entertain their audiences and Rumors will inevitably be another hit for this talented group. Page generated in 0.0698 seconds.